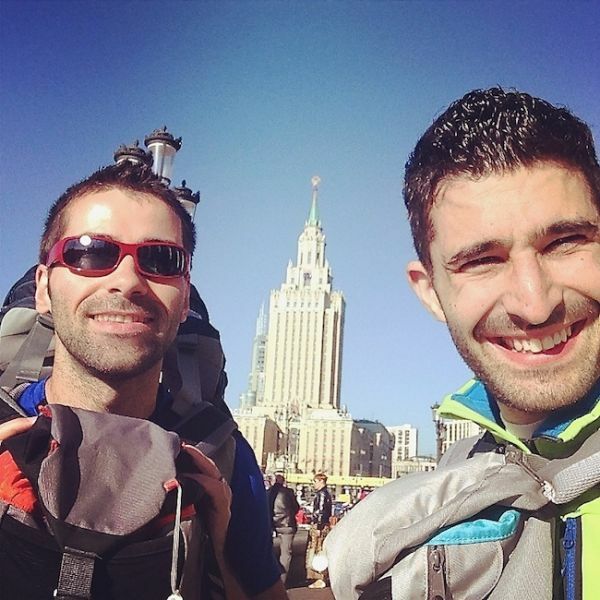 Visiting Russia: Good Morning Moscow! Moscow was our second stop over in Russia after our time in St Petersburg. 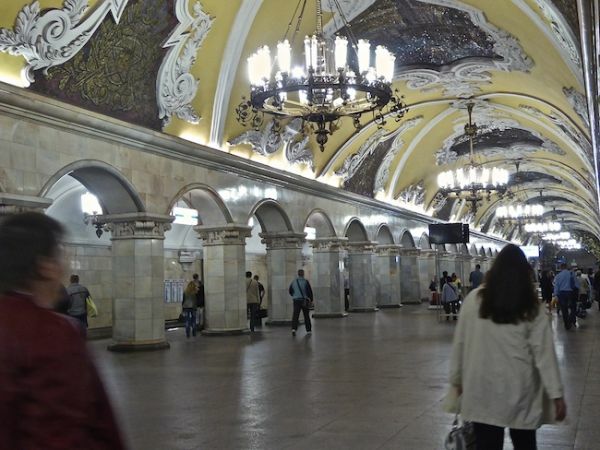 It was also the starting point for our Trans Siberian railway adventure. We arrived in Moscow on Thursday 12 June: National Russia Day and stayed with our friends Toly and Alex. You'll quickly find out that every other guy in Russia is called Toly or Alex. 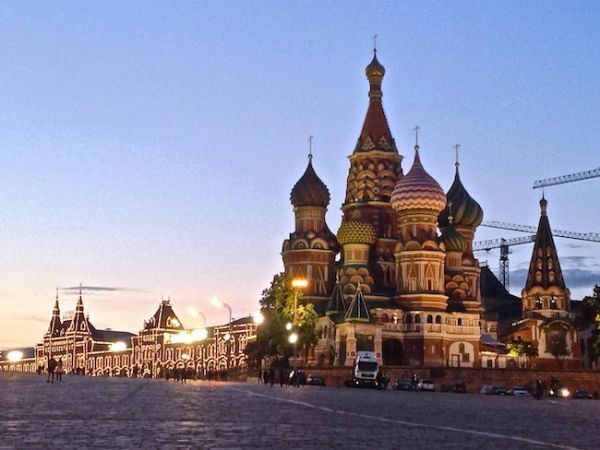 For first timers like us, we recommend The Crowded Planet's excellent guide about things to do in Moscow. Bags dropped off, and Alex and Toly drove us to the suburbia town of Strogino where they'd organised a massive BBQ picnic with all their gay friends. 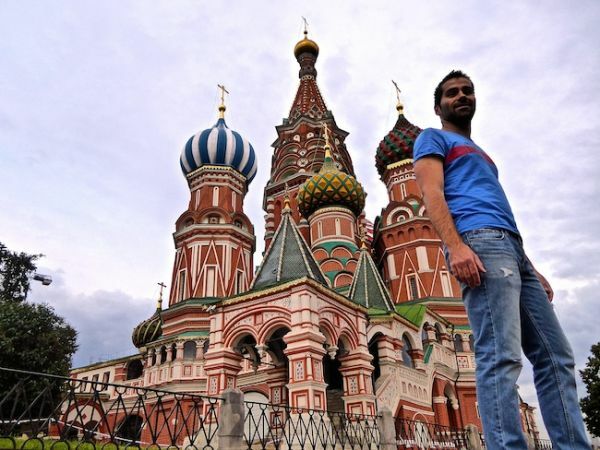 We arrived in Russia at the height of the whole anti gay backlash or “Western media hysteria” as our local friends kept pointing out. “The West hates us so don't believe everything you read”…we were commonly told by them. Sadly despite their warnings, we didn't join our friends when they all went out to the gay bars and clubs. This was one of our first stop in our big trip and we feared a police raid of some sort. Being gay is not illegal in Russia, since 1993 in fact. But over the last 5/6 years, the government has done everything possible to make it hard for the LGBT population here, such as banning pride parades, passing anti gay laws (similar to Section 28 in UK back in the Thatcher era in the 1980s) and more. In reality, as long as you're conservative with your behaviour, there's nothing to fear. Russians are in any case very unexpressive people at first and rarely display any form of public emotion – until the vodka kicks off of course. 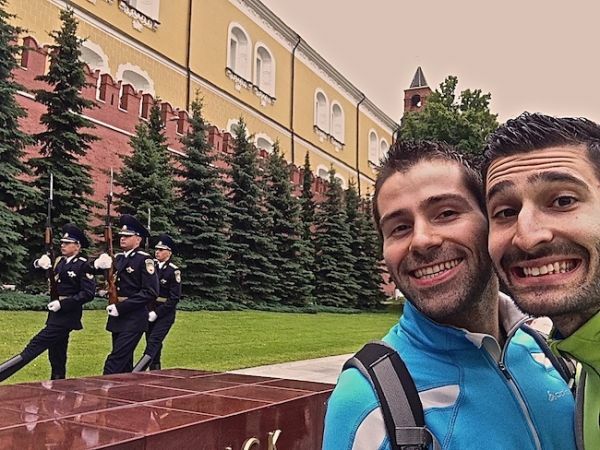 After travelling as a gay couple in Asia for 2 years, in countries which outrightly ban homosexuality (like India, Sri Lanka, the Maldives, Myanmar, Malaysia etc), with hindsight we look back at our Russia memories with slight regret at our tentative behaviour and definitely want to return to experience the pink side to Moscow. 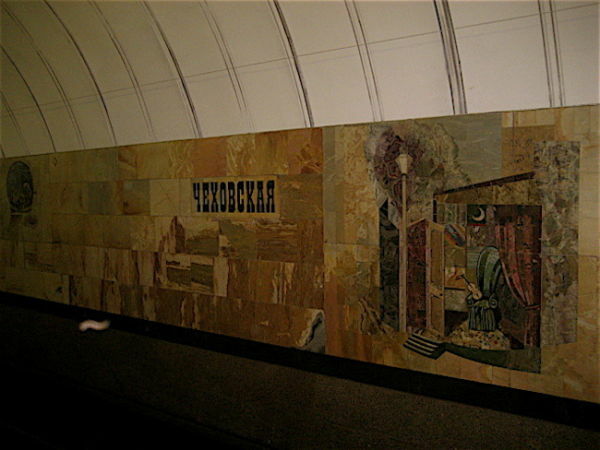 Almost every station is deep. Think Angel Islington escalators in London deep, but almost double. At the bottom of each escalator is a little old lady in a hut guarding things making sure everything is safe and sound. 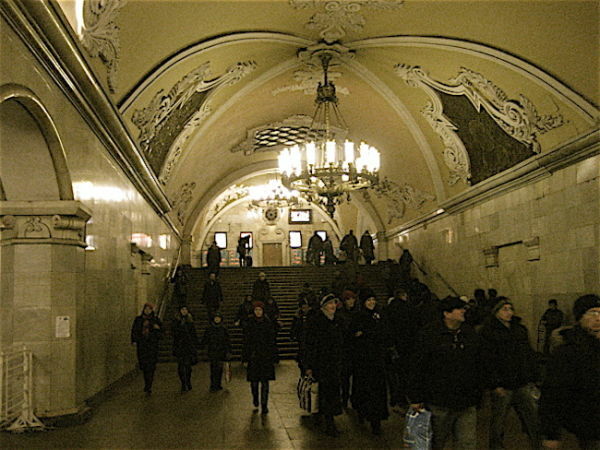 A ride on Moscow’s metro is a tourist attraction in itself. The Kremlin is the official residence of the Russian government. The flag is always flying, apparently to show to the Russian people that the President is always in residence and working away. Truth is that the official Government institutions and administrations take place in the Kremlin and the President lives elsewhere in a location no Russian is allowed to know! 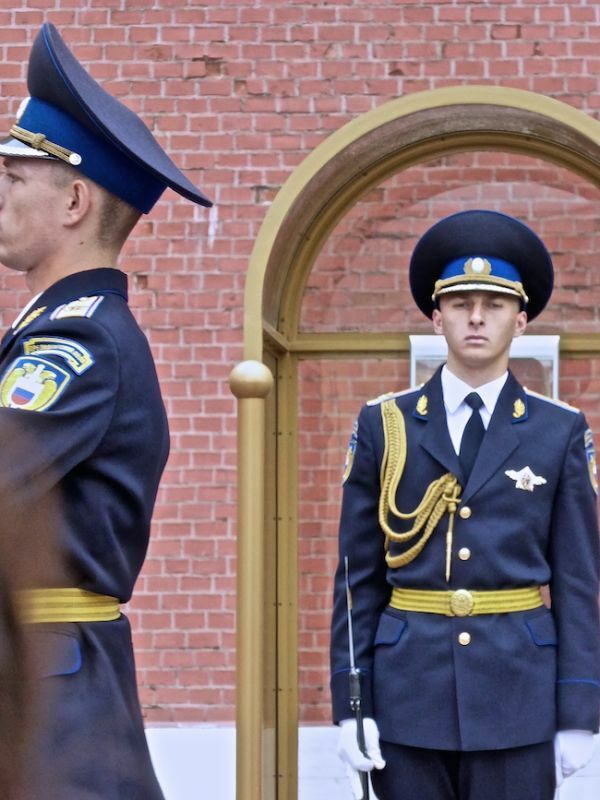 The two soldiers guarding the Tomb of the Unknown Soldier are specifically chosen to be identical, to have the same youthful looks and blond/blue eyed image. 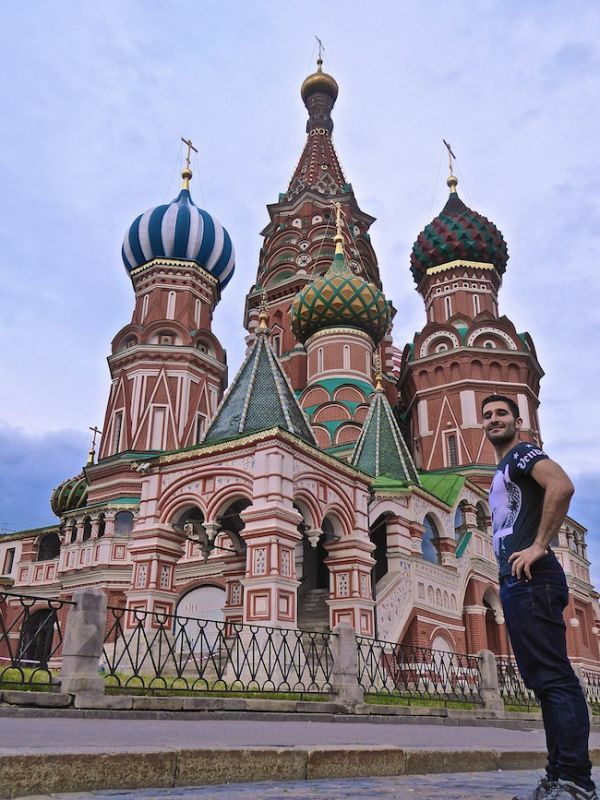 We visited the Kremlin thinking that we would learn about the Russian political institutions and the history. Unfortunately, a visit inside is just to a few churches with nothing about the political history or the workings of the Russian government. Interestingly, all of Russia's princes and Tsars were buried at the Kremlin's Cathedral of the Archangel Michael until 1712 when the burial place was moved to St Petersburg's Peter and Paul Cathedral after St Petersburg was made the new official capital. The Red Square is located next to the Kremlin and it is impressive. Red in Russian means beautiful and was initially used to describe St Basil's Cathedral (see below) but later used generically for the whole square. 25 years ago, you would have struggled to even set foot here as a tourist. Now things have since changed a great deal. The Red Square boarders the Kremlin walls outside of which are the burial spots of Russia's great leaders from Lenin onwards. 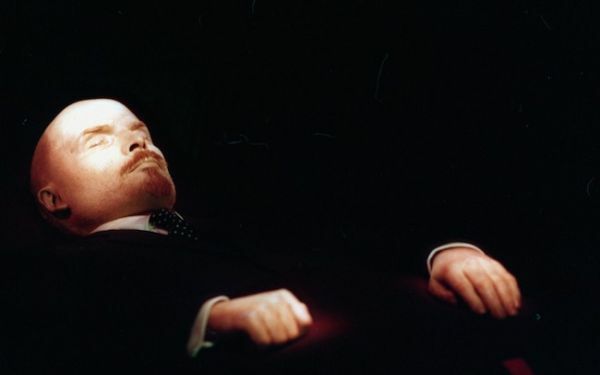 Lenin's body however is the only one which is not buried and was instead preserved after his death. 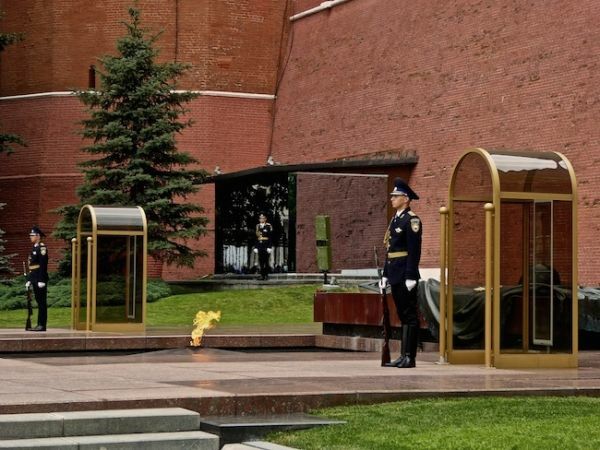 His body is laid out in a heavily guarded and darkened mausoleum for the public to come and see (in a heavily guarded darkened room). 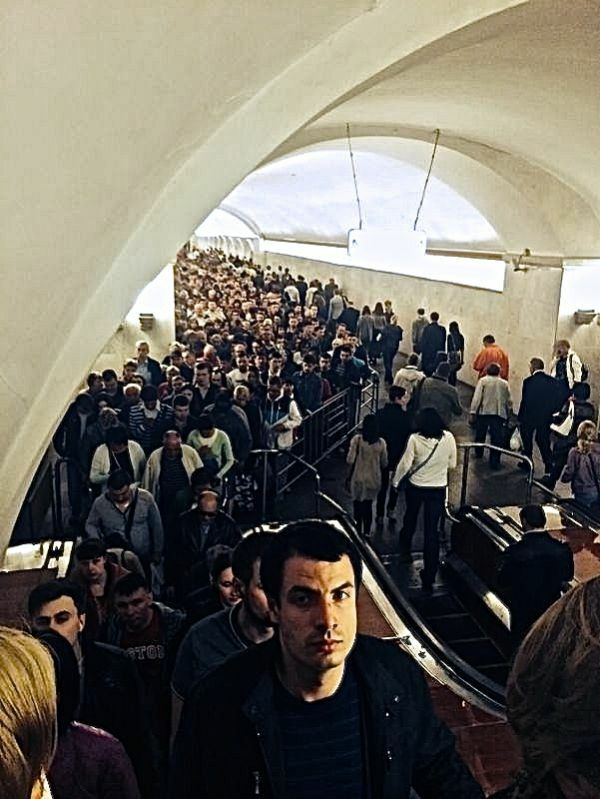 The queue to see Lenin’s body is large. Once inside the tomb, you have to keep walking through to see what looks like something taken from Madame Tussaud's. 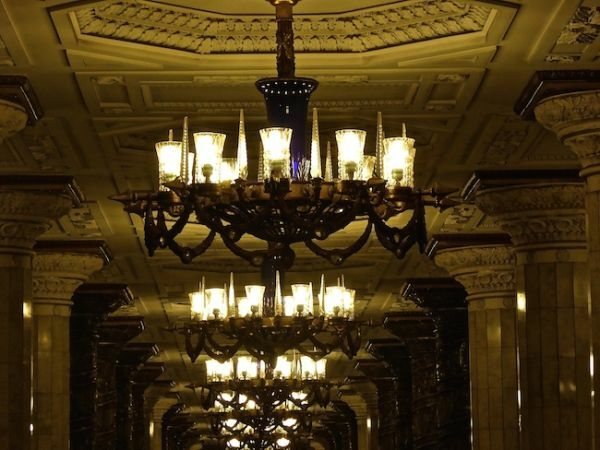 (You then try hard to control your laughter as you hear lots of tourists tripping up on the final step by the exit in this darkened room and wonder how the guards manage to keep such a straight face all day). St Basil's Cathedral is located in Moscow's Red Square next to the GUM building. It resembles a Mosque, which is quite unique for a Russian Orthodox building. St Basil's Cathedral was commissioned by Ivan the Terrible in the 1500s to celebrate the capture of the then Arabic city of Kazan. Hence its mosque-esque features. 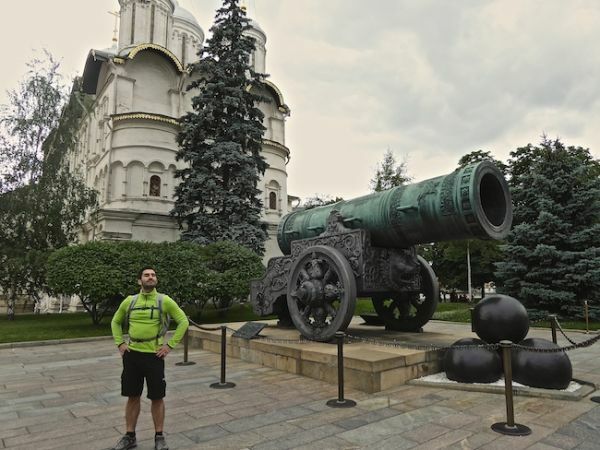 Moscow was our final break away from Europe before starting our Trans Siberian railway adventure across Russia.